Let True Assisting help skyrocket your productivity! We’ll prioritize your schedule using the 80/20 Principle, so you can spend your time focusing on the essential things in your life. 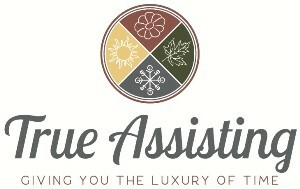 I’m Denise True, Owner, operator and creator of True Assisting. 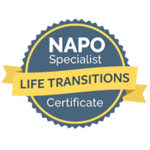 I’m a highly trained, professional personal assistant eager to help you save time, money and make life a bit easier. With my extensive connections in the Southern NH and Boston North areas, I can gather the team of people you need to get the job done. No task is too big or too small. With True Assisting, you’ll be getting a dedicated AADMM certified member and NAPO professional, working tirelessly to organize your schedule, take care of travel plans, run errands, organize your home and much more! All the time-consuming, menial tasks you were filling your plate with will now be our responsibility! Once hired as your personal assistant, I act as your eyes and ears everywhere. I listen to your needs and formulate a custom-tailored plan to make your life easier and less stressful. 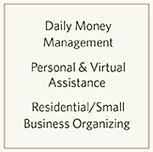 To read more about why you need a personal assistant, check out this blog post that goes into greater detail on how it can transform your life: Benefits of Hiring a Personal Assistant / Daily Money Manager.